Even though we may have the opportunity to enjoy our fireplaces just a few months out of the year, the smoke billowing from our Lowcountry chimneys evokes fond memories of families gathering after dinner to play games or watch movies together on a chilly February evening. Fireplaces not only provide a warm focal point for the family, but often set the style and ambiance for the room. The mantle and surround can exude a cozy, rustic charm, amp up the interior with an ultra-contemporary vibe or radiate an elegant sophistication echoed throughout the house. Today, fireplaces are wood-burning, gas, electric or ethanol, and vary in style from the traditional, tall and classically elegant Rumford version developed in the late 1790s, to a contemporary see-through design that makes a statement. 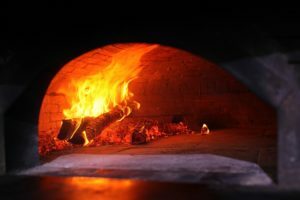 Fireplaces are common in living rooms and bedrooms, but in many neighborhoods, it is just as common to find them outdoors, complete with a kitchen, pizza oven and view of the marsh. 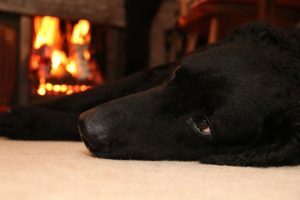 A decision to add a fireplace to a home is not simple (or cheap). The first decision to be made is whether or not a masonry fireplace is warranted, or if a pre-fabricated, factory-built one is the right option. When masons, architects and designers tackle this project, they are crafting a cornerstone of the home, integrating an architectural feature—or “megastructure” as our friend Ryan Skrak calls it—not just installing the less expensive “metal box” that may be more efficient, but certainly not as long lasting. Masonry fireplaces will more than likely experience several owners over their 100-year lifespan, whereas choosing a “metal box” shortens this period by 40 years. Whether homeowners decide to design their own fireplace with an expert or pick a prefab to match their home, find a purpose and personality that play well together. Whether classic or contemporary, see-through fireplaces can be of real value, as they provide a two-for-one bonus. Dress up two rooms with a unique and stylish architectural structure, instead of just one. Consider designing them differently and rein in each room according to personal preference, or let the fireplace flow through both rooms cohesively. 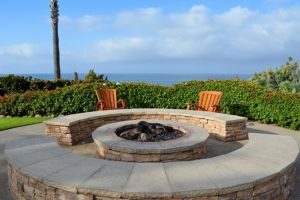 why an outdoor escape isn’t complete without a fire ring, sturdy square brick fire pit or patio with an outdoor fireplace.